Do you work for McAfee? What is McAfee Endpoint Protection? "Trusted Protection Partner for Large Organization." Lot of continuous improvements I observed since last 10 years in its functionality, but the beauty of McAfee Endpoint Protection in its ePolicy Orchestrator (EPO) customize Reporting. Its DLP is very strong, user access controlling is very easy. Its Disk level encryption provides unbound data security. When we created folder at our own behalf (not sync from Active Directory), most of the time objects either Client PCs or Servers were automatically moved into another folder. In result of this Client policies applied on Servers and vise versa. I would strongly recommend to IT Professionals to use this superb product, I am using its ENS, DLP/Device Control, Web Control, and MOVE. We are using McAfee MOVE also on our 9 VMware Hosts and it will provide complete protection to our 200+ virtual servers. Its reporting can explain details of each and every threat detected. Its Data Leakage Prevention (DLP) is superb, in our organization most of the time Internees/Students spended time with us and they access our data. So we protected our data by blocking USB storage devices. We realize that it is essential part of any organization keeping in view the latest threads. Whenever any new threat reported over internet, McAfee plays vital role to prevent endpoint by providing step by step guideline contains extension blocking, process blocking, new policies configuration etc. "antivirus mcafee maximum protection for your equipment." an excellent antivirus with access protection, protection against buffer overflows prevents the supported applications from executing arbitrary code on your computer, email scanner, unwanted programs, real-time analyzer, exploration, among others, everything you need to navigate and download files safely detecting any malicious file and deleting it to keep our computers clean of these. It has to be installed correctly, because otherwise it can fail to have our equipment safe because it contains installation complements. some to be able to deactivate them or to uninstall them, you must enter a password, which can sometimes be misleading, hindering the process to be carried out. it must be taken into account that this antivirus has real time analysis, and there is software which detects them as viruses and immediately eliminates them, when making an installation taking into account that said software does not have a virus, the analyzer must be deactivated in real time to avoid damaging the file, it is installed and then the analyzer is activated again so as not to leave the equipment unprotected. It is used in all the computers of our company in both mobile computers and computers, so it has a greater protection since none of these will be infected with malicious viruses, which puts at risk the integrity of stored information and navigation in Internet. 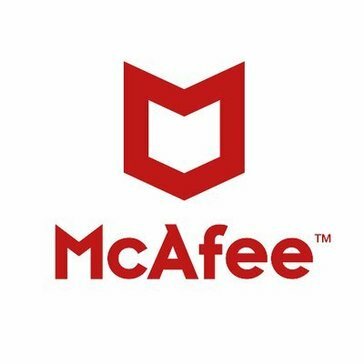 "the safety of the hand with McAfee"
software that provides great security to our teams offering total protection, is available for both computers and mobile devices protecting your data and information from any malware file, can be divided into three parts 1) analysis on demand. 2) Real-time analysis. 3) VirusScan console. It is usually heavy, and requires many updates for your work to be perfect, sometimes it is not compatible with some computers, and usually does not detect some viruses. When installing something that you think the antivirus can detect as malicious it is better to detonate them while installing, since sometimes your level of sensitivity to viruses is such that it can be configured to be removed immediately. is the current antivirus in the company and allows the network to be free of viruses, in which it does not allow the downloading of malicious files, preventing any user from causing chaos in the network when polluting it, it is ideal not only for PC computers but also for mobiles thus maximizing the range of protection. "McAfee Endpoint Protection, great protection of endpoints"
McAfee Endpoint Protection is an excellent software that allows me to manage security protocols in multiple endpoints, including virtual machines, servers, PCs and mobile devices. granting me anti-malware protection through continuous scanning, mobile security, data loss prevention, intrusion detection and prevention, and web and email security within a suite, which is really incredible. It has a simple and light interface, which makes it easy to configure and use. and it does not require so many resources from my computer, therefore it does not slow down my PC. and as if that were not enough, the support team is very efficient. although it is true that it is a very good software, it needs to improve the heuristic, since it does not detect many low impact viruses that are detected and corrected by free versions of other antivirus. I also think it is important to note that the prices are very high. f you are looking for a good antivirus, you should consider McAfee Endpoint Protection, because it is a great software to keep your equipment safe from any potential threat and administer security protocols in multiple endpoints. In spite of certain negative characteristics that may come to present. "It is highly reliable tool for quick and efficient endpoint protection." I mostly feel secured form malware and viruses at my workplace or while using gadgets due to the high efficient working of McAfee Endpoint protection. It automatically alert me about any possible threats or malwares and also deletes them on the spot making sure that all my files are secured and saved. It's subscription fees are quite higher than other related such tools. Most of the tools are straight forward and there's not much to navigate through for high precision security. McAfee is a really great tool for ultimate protection. It should be for once must be implemented in organization for efficient working and full security from malwares. McAfee offers the most secured and reliable endpoint protection wherever there are possible chances of getting malware from internet or any malicious website. It's highly encrypted protection also makes sure to keep me alert about any possible bugs or malware in my gadget . "Easy Deployment and Very Accurate"
Dealing with viruses and malware has never been easy since we implemented McAfee Endpoint Protection. Setting up this tool is easy and using it is straightforward. The User Interface is friendly and customizing the tool is easy as well. The virus definitions are up to standards and the virus detection rate is very high and accurate. Since implementation, we have not had any instances of virus and malware attacks. This virus is able to screen out viruses when browsing online and when using external devices. It is a must have for any business. I have usedMcAfee Endpoint Protection for over three years and I have no major complains. It is an amazing tool. If you are looking fir an endpoint security software, then McAfee Endpoint Protection is what you need. It is powerful, accurate and very affordable. We use McAfee Endpoint Protection to keep our computer systems free of malware and viruses. This way, we ensure that our business data is safe and that the computer systems are efficient. "A safegaurd tool which protect our PC from threats." McAfee Endpoint protection is a advanced program which protect our data from virus. It is one of the useful and top ranked software for data protection against powerful threats. The best feature of McAfee Endpoint Security is totally machine learning and recognize the problem or threats and solve them easily. It is very useful as well as quick to respond. It always ready to protect our system from new threats. The maintenance and installation is very easy of McAfee Endpoint Security. As my personal prospective McAfee is quite expensive and take time to detect the treats. There are several of drawback of this software. It contains too much space and a lot of time while scanning. McAfee anti virus is quite complex for new user. When the system is under scan it hang the screen and other processes are very difficult to work with. Some of the threats are not tackle at once so it take a lot of time to protect the system. If you are looking for a software which can protect your system from online threats so McAfee Endpoint Security is best for it. It tackle the problem very easily and give quick response if it got any kind of trouble or threat which can be harmful for our system. It take a lot of space in system and take time to scan. It is effective tool in every way of online treats. "Best Endpoint Protection Antivirus "
I have used McAfee Endpoint Protection for over 3 years and I have had a great experience. I like the fact that McAfee Endpoint Protection is very easy to implement and use. The user interface is great and it is an unobtrusive software which means there are never unnecessary pop ups. The virus definitions are top notch and this tool will detect and block any malicious files and websites keeping my our computer systems safe. With this software am guaranteed of absolute security of my computer system. This software is also very affordable compared to other options in the market. For the time I have been using McAfee Endpoint Protection, am yet to find major complains. The software works great and it does what it is supposed to do. If you're a business looking for an effective and affordable endpoint protection software, then McAfee Endpoint Protection is what you need. It is very affordable, yet very powerful when it comes to virus detection. It will give you value for your money. We mainly use McAfee Endpoint Protection for endpoint management and virus detection. "McAfee Endpoint Protection encryption can be risky"
We use McAfee Endpoint Protection for endpoint encryption. For this, it generally works well. There are a lot of quirks, particularly with older systems, but over time and with the help of support we have worked through them. Mostly bios issues or issues with smart card piv readers. Like most things, it works great until it does not any more. Typically where the encryption ends up breaking the operating system is after an update or patch is applied. In these cases, you can no longer boot to the operating systems. McAfee does supply tools in these cases, and usually they work, but there is always those outliers that cause the most headaches. In some cases, to repair means to completely decrypt the system and re-encrypt. On an older system, particularly if it has large, non-ssd drives, this can take literally days. Also, we have had cases where the decrypt fails, and McAfee support's only suggestion is to rebuild the system after days wasted trying to decrypt. Frustrating! Evaluate all products in this class. Backup or take an image of the systems in your environment. Be proactive, and plan for the worst. We have a lot of mobile workers, so encryption is a must, there is just no way around it. And, like I said, when it works, it works. 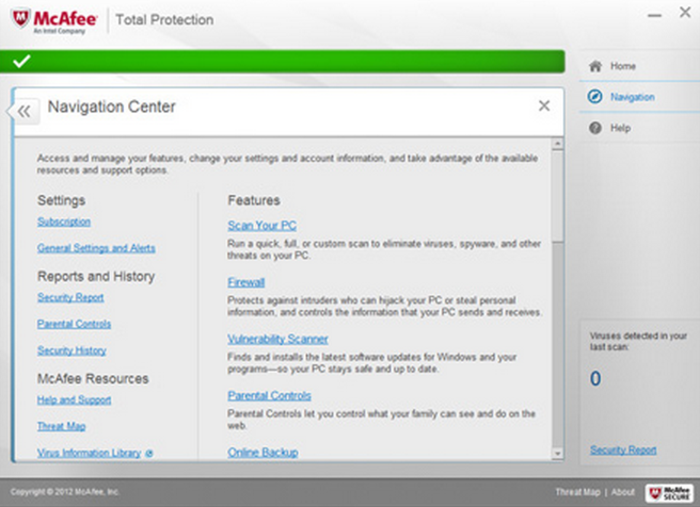 "Great Protection With McAfee Endpoint Security"
I like the fact that this PC security tool is easy to set up and use. This tool will protect you against viruses, malware and bugs online. With McAfee Endpoint Security you can as well schedule regular scans to keep your PC and optimized. The tool is also lightweight and so does not slow my PC. If you are in the market for PC security tool, then McAfee Endpoint Security will do. Considering the cost and many features it offers, it is worthy the cost. However, if you have a bigger budget, consider other options for better protection. With McAfee Endpoint Security, you can be sure that most viruses and malware will eb kept away from your PC which optimizes the PC. It should have been a light program and the RAM usage sometimes becomes more dislike thing. Need to enhance automation to part of troubleshooting. Policy need to be import and export feature in McAfee agent as well. need to improve system usage with process. need to add feature policy import and export in McAfee agent . Its protect real time intelligent base in home and enterprise, protect the most reliable out break ransomware in this world. manage device and intrusion policy methodology. "An Effective Endpoint Protection Tool"
I have interacted with different antiviruses and I must admit that McAfee Endpoint Protection is one of the best. It comes with powerful virus definitions and features that keeps our computer systems protected from viruses and malware. Deploying this tool is easy and understanding and using it is easy as well. Another thing I like about McAfee Endpoint Protection is it is affordable with no compromises n quality and capabilities. Nothing really. McAfee Endpoint Protection is an amazing antivirus and delivers what it promises to do. McAfee Endpoint Protection is an affordable tool and it is also very functional. You will never go wrong with this tool. With McAfee Endpoint Protection, we have been able to keep our computer systems free of malware and viruses, thus keeping our business data safe. This is what every business wants. "A great product for the protection of servers "
The product suite works extremely well at shielding our servers from malware and viruses. We have never experienced downtime on account of a framework interruption that McAfee permitted to get to our system. I would not utilize any kind of McAfee item on any PC that I have on the grounds that I don't think it functions admirably except if it's packaged with another security programming. When utilizing McAfee as my PC's single wellspring of insurance from viruses and malware, the product did not shield my PC from being infected. Mcafee have taken over a real working place in our working environment as a leading endpoint protection tool. "End Point Security is good but complex w some issues / Enterprise support is terrible"
ENS works pretty well with the exception of the Firewall and Web control modules. EPO is complex to get right but powerful. Resource heavy and can cause issues on older hardware, firewall does not pick up existing domain settings and is complex / time consuming to configure. Will block remote access / remote support to end points in default config. Web control is of minimal use / functionality and causes more issues than it's worth. Biggest problem with McAfee is the lack of support even with an enterprise agreement. Calls don't get answered or returned and level one support (if you reach them) is terrible. Even though I like the product the lack of support is why we will not renew. "La experiencia con el producto completo de Endpoint de McAfee es muy buena." Este producto es modular, ya que cada necesidad de seguridad que se quiera atender puede ser atendida por cada uno de los complementos de Endpoint que pueden ser instalados y configurados. McAfee Endpoint en versiones de la 10.5 en adelante, ha trabajado bastante en el uso de los recursos, sin embargo, cuando se trata de amenazas avanzadas que es lo que se vive día a día, debe ir siempre acompañado de ATP, ya que sin este módulo el equipo está predispuesto a un ataque de Ransomware. El módulo es de licenciamiento individual. No use la solución sino cuenta con licencia para ATP. Las necesidades de seguridad en el contexto actual son cada vez mas complejas, por lo que cumplir con un análisis básico de antivirus no es suficiente, debe adquirir con este, herramientas de detección avanzadas como ATP en el caso de McAfee Endpoint Security. Luego de la implementación del módulo de ATP al Endpoint básico de McAfee, se encuentra una mejor detección de las amenazas, por medio del machine learning que este contiene. "Web protection that eliminates malware"
What I liked the most is the user interface, which is very easy and simple to use, unlike other antivirus programs since it has a set of very useful functions. Compatibility is another of its strengths, it can be run from Windows, IOS and Android without any problem of operation. In addition, the customer service is the best I've been able to enjoy, has a telephone support and a chat support 24 hours a day in many languages ​​that make any doubt is answered in a short time. The worst thing in my view is the false positives, the detection is not as effective as it should be expected from a tool so well executed. Another aspect to improve is the consumption of resources that can make the computer slow down. Very good option for the protection of computer equipment giving security to mobile devices as large business servers. All this at a fairly acceptable price for the amount of security features you have. In my case it has helped me in my daily work by eliminating the malware giving me protection on the web in real time and having all my important data perfectly protected. The compatibility is very high with the main technologies and the assistance support is excellent. "Network security with this powerful work tool"
Main characteristic to emphasize is the simplicity in the use. It is not necessary to have a great experience because it allows the user to scan documents, files and navigation of my work team using a very intuitive user panel. Great robustness in the analysis of information, prevents and eliminates trojans and viruses that negatively affect work. As an improvement from my point of view I would dare to say that it should include an improvement in scalability with other technologies and operating systems. I want to say that integration is not entirely perfect with other systems, wasting time looking for solutions to work properly. Great highly recommended product for small and medium companies that want to operate with total security on the internet and that information is one of their biggest concerns, all at a fairly acceptable price. The features that this application has and presents have been very useful to detect and manage the threats that are encountered when browsing the Internet. The information has always been safe and the company has had the security of working in a safe environment. "McAfee Endpoint Protection Work Really Well"
I like McAfee Endpoint Protection for many reasons. First, it is easy to install and use. It comes with powerful virus definition features which ensures that my PC is safe from viruses. The best part is that it works from the background and it never lags my computer or interrupt other running programs. Lastly, it is very affordable compared to other options. McAfee Endpoint Protection is a great tool and any buisness should consider implementing this tool. It is affordbale and works very well. Mostly we use McAfee Endpoint Protection as an antivirus. "A reliable and high endpoint protection tool but it's a bit expensive. " This product permits the coordination of a few endpoint protection advancements that assistance battle and examine threats that can make harm PCs, programs, files, messages and frameworks.Another preferred standpoint of McAfee Endpoint Security is similarity. You can utilize it nearly in any working framework. As you may expect, McAfee's Endpoint Security can be expensive. It depends completely on the necessities of your business and would prescribe you connect with an individual from their business group to figure out which highlights you require. This product is an ideal for highly secured servers where the work of the whole organization is at stake. Been implement this tool at a number of systems and by far it's been working great. The McAfee Endpoint Protection is a standard protection for enterprise Networks, small scale networks and single user or multiple user systems. Its has reliable features such as security updates, ability for scanning systems, McAfee Agent Status Monitoring. It can be controlled through a McAfee agent which shows latest details of the software. Such as time when the antivirus has been updated, the version of antivirus, last security update check. its takes a while for the McAfee agent to be upgraded from the EPO Server. Usually when the McAfee protection systems attempts an update. It does not update the version of the agent. One has to keep trying to update the version. This seems like a very advanced program for protecting data. It provides security while browsing the web, sending e-mails, uploading data to the cloud, etc. I have no complaints when it comes to this software. You definitely need something to protect your data from all the threats out there now. This covers all your protection needs so I would highly recommend looking into it. They are very willing to talk with you about any concerns you may have and answer any questions if you aren't sure about switching to them. It is a very effective firewall that looks after all aspects of your computer/internet usage. It gives great peace of mind to be able to work knowing that your work is secured by a tried and true product. "A trusted name in computer protection"
McAfee is your go-to computer protection, both online and offline. It will save you time and money to stay protected from the threats that are so common anymore. I feel like I can browse the internet and work on documents worry-free thanks to McAfee. I don't dislike anything. It works as promised. They have been around long enough to work out most of the kinks that other programs have. They are one of the best. If you haven't heard of them and how good they are, you have been living under a rock. It allows for safe access of the internet, when that is a big worry anymore. You can't have a computer without protection and this is definitely one of the best out there. Mcafee is probably the best Anti-virus program, the GUI is wonderful and simple to use. The feature I like best would have to be the Full encryption to prevent data theft from stolen laptops or mobile devices. Mac and Linux operating systems are also supported. The only weak point would have to be the updates from third party applications. Apart from that, it doesn't have any other flaws. If your company is looking to change or simply implement an anti-virus solution, look no further. Mcafee is the best solution on the market! It easily beats Symantec. This product offers peace of mind on every possible level. It easily removes viruses and provides efficient protection across our whole organization. It saved me countless hours of computer cleaning. "Best software for protecting your computer"
This software is convenient and secure to use. This software enables the users to have a have full encryption that prevents data loss in case a laptop is stolen. Apart from Windows, this software also supports systems such as Linux and Mac. This software takes a lot of CPU memory and may make the computer slow. This is one the high rated endpoint protection solution in the market. I would recommend it for anyone. I am using this software to prevent the data in my computer against malicious attacks. It also guarantees me security against viruses when I am on email. "Simple deployment and full-featured administration"
Deployment and administration is fast and easy. Policies are pushes automatically with granular control of products and individual product policies. It doesn't use much endpoint (workstation) resources. The Administration Console (e-Policy Orchestrator, ePO) is somewhat difficult to install and requires windows server operative system and a powerfull hardware to function correctly. The administration console is both a good and bad thing, once it's installed and configured, which might be a little difficult, it works great and helps easily deploy this and other products. For big deployments, 20+ computers the ePO is an excellent tool for fast and easy deployment. Administration is not complex and can be handled with a on-premise or cloud ePO. A single administration tool can later deploy other software and policies for this additional software. "Mcafee Refuses to Disappoint "
Mcafee is Fantastic for businesses small and large. It offers immediate solutions to computer viruses and issues after scanning the computer it is installed on. It is very comforting to know Mcafee will take care of it right then and there, and you do not have to do anything else. There isn't much to dislike with this software. Mcafee is a veteran in the field of computer security and a household name. One thing that I will say is it can be a little overwhelming to navigate through all the features, and may not be as user friendly as other software around. That being said you get what you pay for and Mcafee is one of the best. There are many different types of computer protection software out there. Many people have different specific needs for what they are looking for with their computers security. Mcafee is one of the veterans in the area of computer protection. The name itself has a connotation of good quality. Mcafee offers many different versions of their software as well, for different areas of protection. At the end of the day, you get what you pay for. If you have a business, you know that security and protection are important. Mcafee offers just that. Computer security is very important for small businesses, especially in the area of law. Our computers store hundreds of clients information which is extremely confidential. On top of Mcafee we use other computer security software as well. Mcafee has a reputation for being one of the best in the field. Their software gives us comfort in knowing our clients information stays 100% safe and confidential. "Powerful, safe and for everyone"
Among the advantages is easy to use, it has excellent protection of my computer with good performance. The security antispam for emails is immediate and detects phishing attacks at the moment. Security in my transactions especially when I use my passwords, allowing me the option to manage passwords. The compatibility with POP 3 is not quite correct that it should be, failures occur from time to time by not allowing me to receive suspicious mail. Excellent option on the whole Total Protection plan package with a very good performance. The license allows you to test the product and if the customer is satisfied, the money is returned to you. Good security features with minimal learning. Minimalism, high usability, accessible from multiple devices and operating systems from different channels. "A very comprehensive security suite with a lot of overhead and headed in the right direction"
McAfee Endpoint Protection security suite gives the most comprehensive insight into your endpoint environment and has a ton of power and flexibility to institute comprehensive security policies across your entire organization or just a very small subset of it. Their support (Should you pay for platinum or above) is responsive and educated in whatever products you need support on. The ramp up time for support on new product sets leaves much to be desired. Keeping their products up to date requires a lot of time and effort in a large organization. It also requires a ton of finesse if you have multiple products deployed since they can have disruptive interactions with each other. They have been getting better with this, but the product sets aren't quite there yet and it requires significant time and effort to move to the new platform. Make sure you dedicate the time, effort, and staff to be successful in an implementation. Make sure to involve all business units during implementation. We needed insight into the security posture of our organization and the ability to automate many mundane tasks. The McAfee Endpoint Security suite accomplishes this and more. It allows you to do a whole lot more and allows you to be as creative as your mind allows to accomplish many different tasks to increase security within your organization. One of the features I like about this product is how I am able to define firewall rules for specific programs. Also, the web control add-on to the browser inject the system well. We can easily customize the system according to what our work is and apply adaptive rule sets and IP spoof protection are amazing features. It should have been a light program and the RAM usage high. Sometimes it becomes overprotective and creates problem in entering a known website. The business problem trying to solve is how to secure and to administer Mac computers.. The benefits of this product are easily seen since we already use ePO for all the other computers in the organization. "Effective drive encryption protection against loss and unaurhorized users"
I like best regarding the ability to decrypt a hard drive through a boot CD without having to remove the hard drive and daisy chain to another computer in case of a crash. Also the Self Service Portal that allow administrative functions to generate a code to bypass the McAfee Drive Encryption preboot encryption screen, reset credential PIV card, and display a complete list of computers that are running McAfee Drive Encryption that I am able to administer. The process to enroll new computers for drive encryption with the servers is automatic yet it can take at least 2 or more hours if there are a lot of new computers waiting for the same enrollment request. Also authorized full decryption of a hard drive of about 300GB can take up to about 3 days. McAfee EndPoint Protection is a great product that works well with a large corporation with seamless integration with your operating system deployment, allows end-users the ability to easily recover files from corrupted operating system through an authorized file, and the ability to administrator protected computers on the network. McAfee Endpoint Protection provides a peace of mind for protection against loss of PII in case of a loss due to the privacy act and to safeguard against the breach of personally identifiable information. "Very good protection for business machines"
- It keeps on scanning the machine for any virus and provides real-time scanning of virus and other security risks from internet to your laptop/desktop machines. Although it provides protection from viruses I feel it is still lacking in providing protection from latest and more severe threats which keep on appearing on market. I would like it to provide total end to end protection in this single product and no need to buy many other products to get safety. The security protection provided by Mccafe end point protection is good at basic levels. It would save the machine from all day to day threats and provides good firewall. For advanced protection it may not be able to block all the risks created by malwares and viruses. - Using it to protect and secure business data from generic security threats on internet. - Protecting machines from slowing down due to malwares and virus running in background and eating up processing power. "Reliable Protection for My Computer and Network"
At our end, this server based protection is very good and reliable. Before this we are using free antivirus but faced over loading of resources and management issues. This is standard, very effective antivirus, browser protection solution that is available at best price to fulfill corporate requirement. Its integrated security system is trustworthy and offer single point administration so my server and attached client machines can be beneficial from centralized updated virus database. We bought McAfee Endpoint Protection for our office network, installed it on Server and Client machines. It scans our all machines (including server). The result is very good as users (including CEO of company) appriciated this Anti Virus Solution. We use a shared folder as "PUBLIC" on a centerized computer where all users share their files. This McAfee Endpoint Protection ease this sharing in avoiding spread of virus. "Easy deployment with advanced features"
Deployment and administration is so fast and easy. Policies are pushes automatically with granular control of products and individual product policies. It doesn't use much endpoint (workstation) resources. The product consumes more RaM. This becomes a hindrance to computer users with low configurations. Also McAfee Endpoint Protection does not completely detect virus but is sufficient for home networks. The system sometimes hangs when McAfee Endpoint Protection is scanning the whole system. It provides a good security for data encryption. Blocking unwanted sites that spread malware is a very useful feature. The basic security requirements for an enterprise can be easily met using this software. It also supports all type of endpoints security. Encrpytion and data allowing authorized persons to access. The business issue attempting to explain is the manner by which to secure and oversee macintosh PCs in an enterprise environment. Most of the people think that macintosh PCs are secure all alone and there is no need any sort of hostile to infection programming introduced or malware location capacities. One of the cool features of McAfee Endpoint Protection is that we can define firewall rules for specific programs. The product is more user friendly. One can configure user specific functions like dashboards. Overall McAfee is sufficient to keep viruses away from one's computer. The software consumes a lot of RAM. This becomes a hindrance to computer users with low configurations. Also McAfee Endpoint Protection does not completely detect virus but is sufficient for home networks. The system sometimes hangs when McAfee Endpoint Protection is scanning the whole system. Encrypting data and allowing authorized persons to access. The business issue attempting to explain is the manner by which to secure and oversee macintosh PCs in an enterprise environment. Most of the people think that macintosh PCs are secure all alone and there is no need any sort of hostile to infection programming introduced or malware location capacities. In any case, that is simply off base and macintosh working frameworks are turning out to be more of an objective at the item keeps on developing in piece of the pie and increasing more consideration. "McAfee Endpoint Protection for SMB"
THE security is very important in small businesses, mcafee provides an 'offer of efficient security. McAffee keeps us safe email, data and mobile devices, you can deploy it in the cloud that the company, without computer skills. It is a complete product, but like all products of this type requires a lot of hardware resources. On PC and next-generation smartphone is not noticed, but the old devices will notice the difference. is the price to pay for staying safe on the Internet. McAfee Endpoint Protection works well, it is able to manage corporate security on workstations and mobile devices perfectly. administrators can take it easy, the software does its job. "Secure Endpoints from every angles"
1. Usability of the software is really good. Anyone with the basics can install and use it. 2. Web control add-on to the browser immunize the system very well ( The site report provided is pretty cool actually ). 3. controls on the system is well designed. We can easily customize the system according to what our work is (sometimes you just require malware). 4. Adaptive rule sets and IP spoof protection are amazing features. 5. Cloud security is undeniably great feature. 6. Remote access of the systems. 7. Stability of the software is commendable apart from the occasional "lag" created due to over RAM consumption. It should have been a light program and the RAM usage sometimes becomes a headache. And sometimes it becomes overprotective and creates problem in entering a known website. McAfee is a great tool if you are in a field which involves great risk factor. It performs greatly with every thing under your control, you'll feel real powerful. I faced difficulty while using my browser as my system was compromised. New applications were installed without any kind of intimation and there was forceful stop to the browser. Now thanks to Mcafee no such pain. "Admin ready access and high level of security "
a) Admin friendly and is accessible without much knowledge on product. b) User level of personalisation based on the requirement is possible. c) End to end screening of applications helps you work without direct or indirect attacks. d) Providing security remotely for cloud nodes is the one of the best feature. a) If possible OS refresh mechanism should be automated, At present which is achieved by following certain steps provided by Mcafee knowledge base. b) Mcafee admin capabilities use "McAfee ePolicy Orchestrator", which cannot be run along side of the other vendor products. c) Data encryption is good but it already exist in different options for users. Should have supported generating a user specific encryption key for securing their data. Mcafee Saas which provided a remote access and allows admin to monitor from any place. Good security for data encryption from intruders. Blocking unwanted sites and avoiding accidental data loss is good. b) Reporting and monitoring by auditing log generated. c) Encrypting data and allowing authorized persons to access. "Full time administrator of ePO and related productions"
One of the best features I like about the McAfee Endpoint Protection product is how I am able to define firewall rules for specific programs. The ability to white list what certain applications are able to do gives me peace of mind that nothing suspicious is going on behind the scenes. This requirment becomes more and more important as hackers continue to become more advanced in their attack scenerios. Similarly, it seems to be one of the most frustrating features as well. Often times when I whitelist an application for specific ports and services, I will have to reconfirm network access every time it opens. There does not seem to be any support for whitelisting by product family or signature. So every time program updates, I have to re-whitelist. Also the overall GUI interface seems to be lacking. I think some aesthetic changes might be in order to make it look nice. But that is just a personal preference. Using this product for baseline security for mac is a very good idea. I think when you get granular with custom settings this product lacks. So long as meeting basic security requirements are your goal. This product will fit in just fine. The business problem trying to solve is how to secure and administer mac computers in an enterprise environment. THe benefits of this product are very easily seen since we already use ePO for all the other machines in the organization. People think that mac computers are secure on their own and there is no need to have any type of anti virus software installed or malware detection capabilities. But that is just incorrect and mac operating systems are becoming more and more of a target at the product continues to grow in market share and gaining more attention. "Easy administration with core options within a single system console"
Easy of access for the end user, system can be handled from single user console. Remote accessing and security for end points like laptops in which data is encrypted, which serves as data privacy and security. We can configure user specific dashboards, timely support from Mcafee team in configuring rules. Takes more CPU utilization and lot of memory. When the system is under scan it will hang screen and other processes and very difficult to work with. Mcafee supports all type of endpoints security which also includes macs. We will get support from Mcafee team for advanced configurations. Right now I am using Mcafee total security from last 1 year, no issues till date. Good time to time updates we receive from Mcafee. Data loss can be prevented but make sure your system configuration supports. > McAfee Endpoint protection is used on all laptops in my organization and it has successfully defended us again malwares, virus attacks and IP snoopings. "McAfee Endpoint Security Review "